Milwaukee-based Harley Davidson is reportedly planning to set up manufacturing and distribution facilities to make lightweight motorcycles for users in India and other Asian markets. The motorcycle giant recently announced its plans to launch smaller motorcycles with an engine size of 250cc to 500cc, to grow sales in the world’s largest two-wheeler market. The announcement comes on the heels of the company’s aging customer base, sales slump in the United States, and European Union’s 31% tariff on U.S. manufactured motorcycles. According to trusted sources, EU’s tariffs would have cost Harley about $100 million yearly, as an extra expense of $2,200 would have been incurred on each motorcycle shipped to Europe. Incidentally, Harley’s had already announced its 10-year plan earlier, that included growing its international business to 50% sales, training around 2 million new U.S. riders, and introducing a mammoth 100 new high impact motorcycles, as per a report by USA Today. According to sources familiar with the matter, Harley-Davidson would have $275 million capital investment to boost growth through new motorcycles, including the smaller ones to be built with an Asian manufacturer. Moreover, the company said that it would support its plans by cost-cutting and transferring previously planned investments. Besides the smaller version, Harley also plans to introduce new midsize bikes from 2022, along with its first adventure touring model for off-highway use, and a 975cc bike aimed at urban riders. 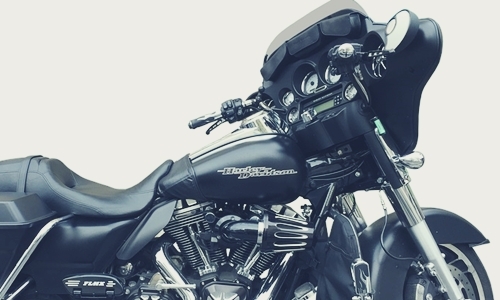 Marc McAllister, VP of Product Portfolio, Harley-Davidson stated that the company understands how focused it has been in the heavyweight motorcycle segment and why its expertise in manufacturing smaller motorcycles needs to grow. The brand is now seeking a strategic alliance to grow in a new market by understanding the product, consumer base, and assembly, said McAllister. The Indian market is currently experiencing a double-digit surge in motorcycle sales. As a result, major companies like Britain’s Triumph and Germany’s BMW motors have also formed alliances with Indian companies like Bajaj Auto and TVS Motors, reported trusted sources.